Alimony, Maintenance and Spousal Support: When, How Much, and For How Long? Money that one spouse pays to another spouse for support, both during and after divorce, may be called many different things. Depending upon the state you live in, such support may be referred to as alimony, maintenance, or spousal support. (I will use these terms interchangeably in this article.) No matter what you call it, though, the laws surrounding spousal support are often extremely complex. Whether one spouse will have to pay spousal support to another as part of a divorce depends upon the law of the state the couple lives in. A court can order one spouse to support the other spouse both during and after the divorce. The parties can also agree to such payments. While most people think of alimony as something a divorcing husband pays to his soon-to-be ex-wife, the concept of spousal support is actually gender-neutral. In today’s society it is not uncommon for a divorcing wife to be ordered to support her soon-to-be ex-husband. The question is not which gender pays the other, but which spouse needs support from the other, and who is able to pay it. The first question to answer before you try to calculate alimony is whether alimony is warranted in your divorce. To make that determination, courts will look to a variety of factors. These factors may include the income and property of each spouse. Courts will also consider the needs of each spouse and the length of the marriage. They may also consider the standard of living established during the marriage, as well as other factors. The exact factors a court will consider depends upon the law of the state the court is in. Unlike child support, many states do not have specific guidelines setting forth a formula for determining how much support one spouse will have to pay the other in a divorce. In those states, the questions of whether one spouse will have to pay to support the other during or after divorce and, if so, how much and how long that spouse will pay are often left to the judge’s discretion. In Illinois, spousal support is referred to as maintenance. Illinois has specific maintenance guidelines which apply in any case in which maintenance is appropriate. In Illinois, if a couple’s combined gross income is less than $250,000.00, and an award of maintenance is appropriate, a maintenance formula applies. 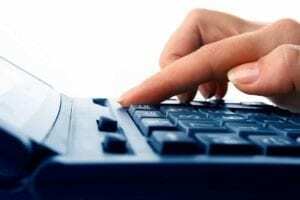 That formula calculates maintenance as of the payor’s gross income minus 20% of the payee’s gross income. That amount will be the amount of maintenance as long as it is not more than 40% of the couple’s combined gross income. 4. 20 or more years – maintenance may be permanent. In some states, marital misconduct affects whether one spouse will have to pay alimony to the other. In those states, if one spouse cheats on the other, s/he may no longer be eligible to receive alimony. Many states, however, have no such law. In Illinois, marital misconduct has no effect on whether you are entitled to receive, or have to pay maintenance. 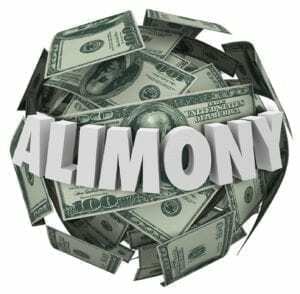 Unlike child support, which is not tax deductible to the person who pays it, alimony is tax-deductible to the spouse who pays it. It also must be claimed as income by the spouse who receives it. Since the payor spouse presumably has a higher income tax rate than his/her spouse, paying alimony can result in a tax advantage to the payor spouse. In Illinois, the maintenance guidelines determine the length of time alimony is to be paid in cases where the parties’ combined annual income is $250,000 or less. 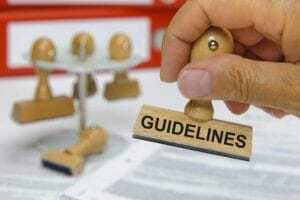 In cases where a couple’s income exceeds that amount, the guidelines don’t apply. The length of time during which one spouse has to support the other in Illinois cases where the guidelines don’t apply, as well as in other states, can vary. In general, alimony may be paid for a fixed period of time, or an indefinite period of time. It may be permanent, or it may be reviewable after a certain period of time. If spousal support may be a factor in your divorce, you really need to consult with an experienced divorce attorney near you. That attorney can help you determine whether you or your spouse will likely have to pay spousal support. The attorney can also advise you on how long any spousal support obligation may last. 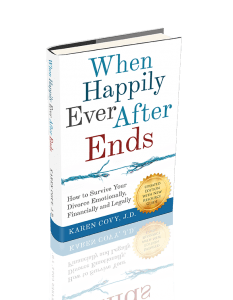 To get your FREE Report, 50 Creative Ways to Save Money After Divorce, CLICK the button below.